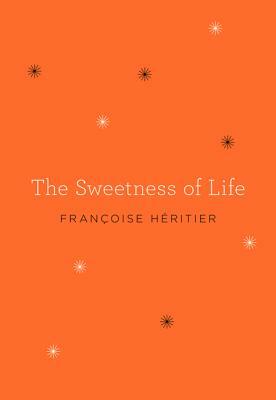 Françoise Héritier’s international bestseller The Sweetness of Life is a celebration of the small, sweet moments that make life worth living—and the importance of taking the time to savor them. Busy juggling so many responsibilities in our overextended lives, we often miss the precious experiences that are pure joy and the actual experience of humanity: wild laughter, phone calls with loved ones, coffee in the sun, crisp fall evenings, running in warm rain, long conversations at twilight, cooking and savoring a good meal, watching a craftsman at work, getting together with friends we’ve missed. In this enchanting book—part letter, part prose poem, part charming and witty self-help guide— anthropologist Françoise Héritier lists with heartwarming and heartbreaking specificity all that we so easily overlook if we do not attend to the lightness and grace in our own lives. Filled with profound insight and down-to-earth wisdom, The Sweetness of Life is the perfect gift to to share with everyone you love. "This is a strange but wonderful book, made up of a list regular things that happen to everyone on any given day. It's almost a poem, an ode to all the little things that we might look over but truly add up to be the sweetness of life. This book is absolutely charming and, for my brain at least, very visual. I read some item on her list and find myself daydreaming of doing just that. I'm not sure everyone will would find it so interactive, but it certainly was for me."